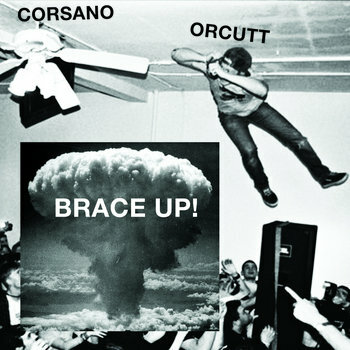 Brainwashed - Chris Corsano and Bill Orcutt, "Brace Up"
Chris Corsano and Bill Orcutt, "Brace Up"
Brace Up! is the first ever studio release from the duo of Chris Corsano (drums) and Bill Orcutt (guitar). Recorded in Brussels at Les Ateliers Claus by Christophe Albertijn on March 19th and 20th, 2018. Stage dive photograph by Jason Penner.